Just to give you a little figure of how our members are going, so far, they have lost a combined total of over 17 stone (238lbs / 108 kg) that is an amazing achievement in only 4 weeks. I can just imagine how many inches they have all lost too! Our members are also pounding the streets, hitting the gyms and working out at home using their personal fitness plans so well done to everyone for not just losing weight but for getting fit too. All our members deserve a BIG round-of-applause – so well done, I’m very proud of you all and all the hard work you have put in and I’m sure everyone reading this will be thinking the same. We have had some lovely feedback from our members and it’s these personal emails that keep me going and trying to better the service for you. I’m really enjoying travelling through your weight loss journeys with you – it’s great to have that personal feeling, even through emails it’s nice to have that connection and hear how you are getting on and know that I am helping you when you need the support. As most of our members will already know, Why Weight Ireland tries to make sure that their members experience is relaxing and as comfortable as possible and to try and make it not feel like a diet at all. As I have been quoted many times before “it’s not just a diet, it’s a new way of life” and I know from our members emails and comments that this is becoming true for them too. Adjusting to any new routine is tough, especially when it involves changing your food and exercise habits – but if you stick with it – it eventually just sinks in, it will become second nature to you! Remember if dieting was easy then everyone would be slim; there would be no need for diet drinks, replacements meals, gyms or weight-loss companies – but I am not going to lie to you and say it’s easy – it is not easy – it takes time, effort, courage and determination but I already know by you reading this you are contemplating if you are ready or not. Let me assure you that there is one thing I can promise and that is I will be with you throughout your journey. I am always only an email away so when you are feeling down, disappointed that you didn’t get the weigh-loss you wanted or even gained weight after you tried so hard, I am just an email away and will explain to you how or why these things are happening to you and we can try and rectify it so your next weigh-in is more successful. 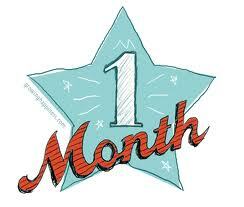 Another success in our 1st month is the option to “Weigh In With Hannah”. This is a simple but effective way of keeping motivated. Members email me their weigh-in day and after each weigh-in they just email me their loss for the week (or gain). For the member it’s a great way to stay motivated and encourages them to do well during the week so they don’t have to email me and say they’ve gained weight! As one member said “it’s like being back in school”…..in a good way 🙂 The other benefit is that if you do have a loss or gain I will be able to guide you either way on how to maintain your loss or discuss why you may have had a gain in the week. Having no support is a major contributor to why people fail at weight-loss programs. 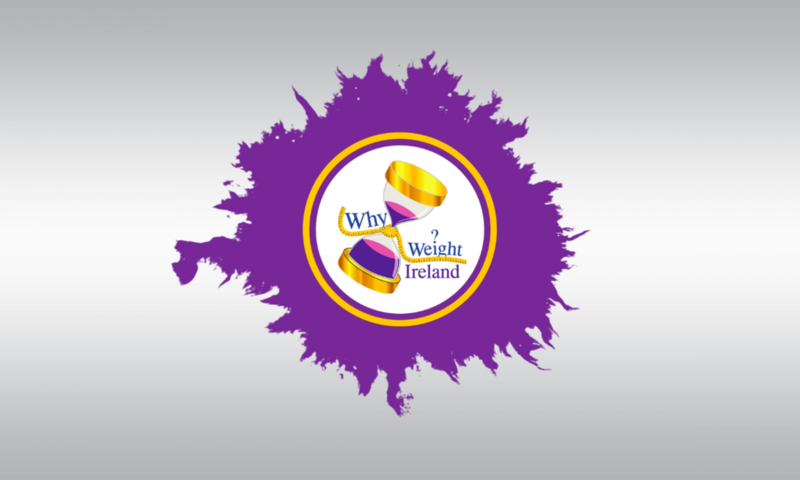 You don’t have to worry about that with Why Weight Ireland. With instant email access to me, you also have the forums on the food and exercise diary which more and more of you are getting involved in. Since starting the business I have also had to change things around a little bit myself and found it a bit of a juggling act getting into the new routine – Why Weight Ireland, running races, training for a marathon, teaching Zumba, and running after 2 rug rats as well as trying to keep the house clean – it has all had to fit in somewhere! Just like all the Why Weight Ireland members adjusting to their new eating and exercise regimes……but I think I’m getting into the swing of things now (just about!). Your calorie allowance is there for a reason – if you are going over then you need to look at what you are eating or drinking. Watch for those “empty calories” i.e. alcohol I’ve mentioned before in my blogs. Be realistic – if you have more than a stone to lose – it’s not going to happen in a month. If you have more than 3 stone to lose, it’s not going to happen in 3 months. Well done again to everyone who is already achieving such great results with such a simple yet effective system! Thank you all for making Why Weight Ireland a success for without you none of this would be possible and for that I am eternally grateful. Next PostNext Best Time To Exercise?